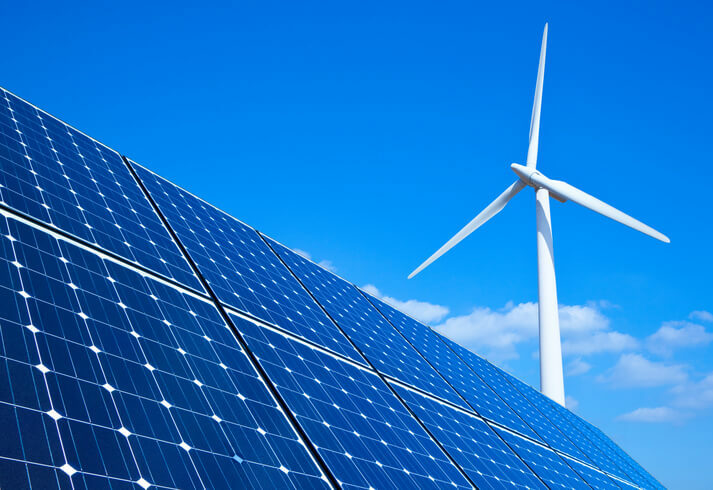 CleanChoice Energy, a renewable energy company providing 100% clean electricity to customers across the country, has launched the CleanChoice Energy Broker Program . . . The new program will initially be available to partners serving Delaware, Illinois, Maryland, Massachusetts, New Jersey, New York, Ohio, Pennsylvania and Washington, D.C. Read more here. The House Energy and Commerce Committee invited experts to testify on what federal storage policy should look like. Studies by NREL and Clean Energy Group estimate that demand charges above $15/kW make battery storage economic, and GTM Research claims that by 2021, $11/kW demand charges will make battery storage economic. A recent study (PDF) by NREL found that “some of the country’s highest demand charges were found to be in states not typically known for high electricity prices, such as Colorado, Nebraska, Arizona, and Georgia.” If you haven’t checked your bill recently, check again. “We’ve seen an 87,670 percent increase over the last decade in the amount of electricity we get from the sun,” said Drew Ball, director of Environment North Carolina Policy and Research Center. The future is getting brighter for wind and solar energy in the Midwest. Two Madison-based power companies, Alliant Energy Corporation and Madison Gas and Electric (MGE), have recently invested in clean energy sources that will affect thousands of customers across the Midwest. The two-phase Gemini Solar Project would be larger than any operational single-site solar project in the United States known to pv magazine. The Nevada Secretary of State has verified that a Tom Steyer-backed referendum on the nation’s third-most ambitious renewable energy mandate will be up for a vote on November 6. In this op-ed for pv magazine, Bentham Paulos examines how Philadelphia is using Solarize to bring the benefits of solar to low-income residents. Missouri Supreme Court gives new life to $2B Grain Belt Express transmission project, Utility Dive. The proposed 780-mile transmission line would move wind energy from western Kansas to utilities and customers in Missouri, Illinois, Indiana and neighboring states. This entry was posted in NewsBlog, Research and tagged economic benefits of energy storage in states with high demand charges, Energy Storage News, House Energy and Commerce Committee, low-income solar programs, renewable energy news, solarize programs on July 19, 2018 by Helen Deffenbacher. 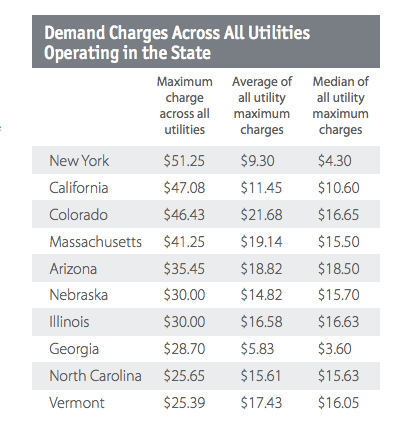 In Iowa, a state with some of the highest demand charges in the nation, a solar installer is offering a storage solution that the company claims could cut power bills in half for some large electricity customers. 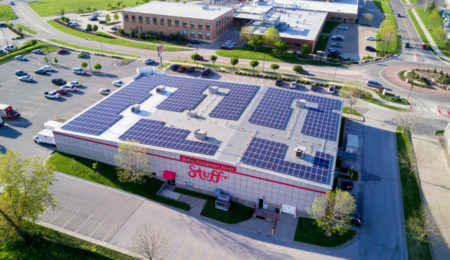 One year ago the company, Ideal Energy, installed its first solar-plus-storage system at Stuff Etc., a large consignment store in Coralville. Amy Van Beek, the company’s co-founder and its chief marketing officer, said the project has been performing well and the company is now working with several large electricity customers in the state to determine how solar-plus-storage could work for them. Continue reading. NREL survey Karen Uhlenhuth references: Identifying Potential Markets for Behind-the-Meter Battery Energy Storage: A Survey of U.S. Demand Charges. The analysis was undertaken by NREL in collaboration with Clean Energy Group as part of their Resilient Power Project. Midwestern poultry farmers cut bills in half with new heating system: Maintaining a tropical temperature for his turkeys, even through a Nebraska winter, used to cost Bill Bevans in the neighborhood of $60,000 annually. Not any longer. This entry was posted in Energy Storage, Nebraska / Midwest News, NewsBlog and tagged Clean Energy Group, economic benefits of energy storage in states with high demand charges, energy storage & states with high demand charges, Karen Uhlenhuth, Midwest Energy News, National Renewable Energy Laboratory (NREL), Nebraska utilities' demand charges on November 1, 2017 by Helen Deffenbacher.